I had made this on the occassion of Gokulashtami festival. Very simple ladoo sort of besan ladoo but made this on split Moong Dal (Lentils/Mungbean). Take a small pan heat ghee a bit add cashews switch off the flame leave for few mins. 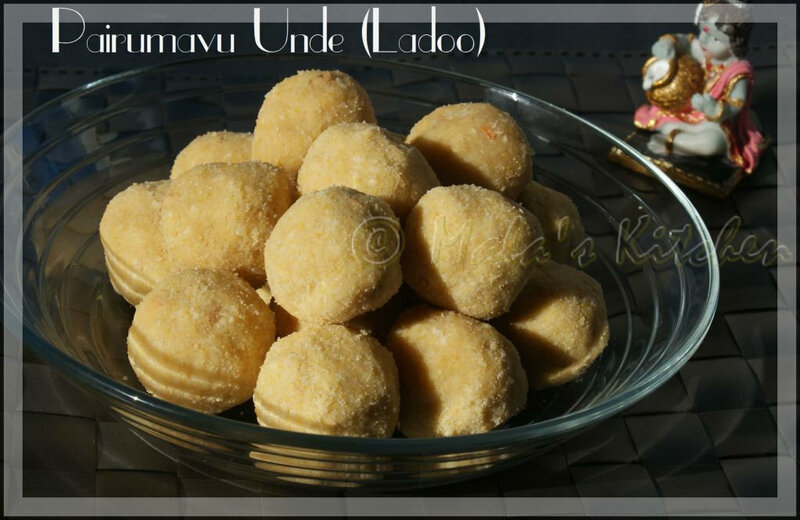 Add ghee evenly and mix it in the spoon and make a medium size ladoos between your palms shape into round balls but as fast as you can. Cool and store it in the airtight containers. Love this healthy unde very much.